Leapin’ Lizards! One of the world’s best-loved musical makes its way to the Milburn Stone Theatre Stage! 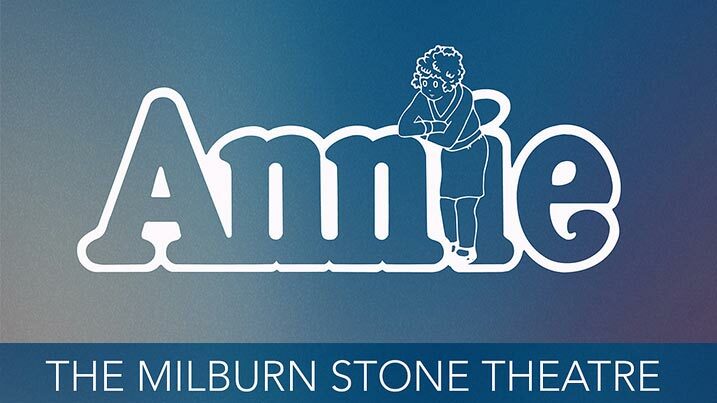 Join us as we enter the world of Annie, a spunky orphan girl finds a home with a New York millionaire during the Depression but must dodge the clutches of her evil orphanage mistress, in Charles Strouse, Martin Charnin and Thomas Meehan’s musical based on the popular Harold Gray comic strip. Annie includes such unforgettable songs as “It’s the Hard Knock Life,” “Easy Street,” “I Don’t Need Anything But You,” plus the eternal anthem of optimism, “Tomorrow.” Annie is the winner of seven TONY awards including Best Book of a Musical, Best Original Score, Best Choreography and Best Musical. This performance is sponsored by PNC Bank.